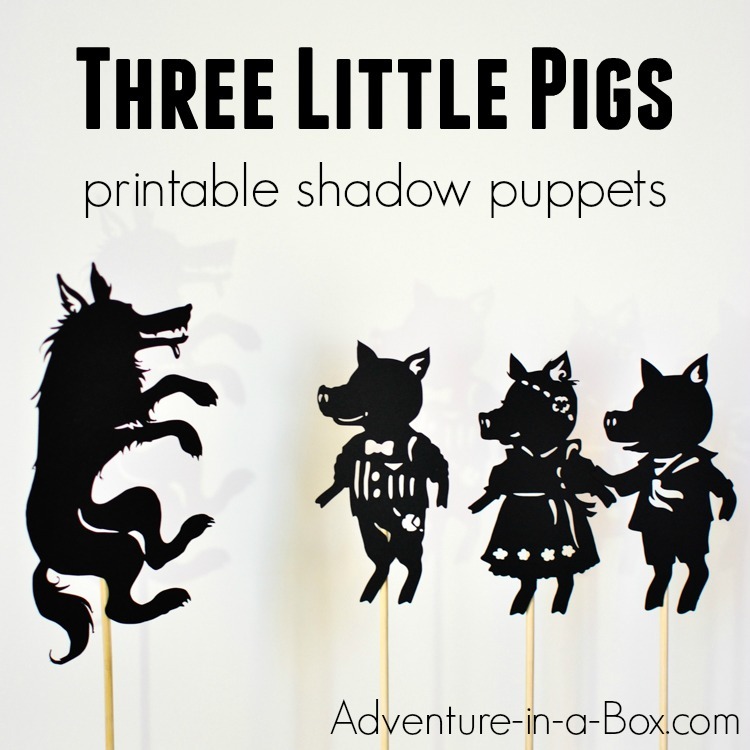 Based on the famous fairy-tale, these printable shadow puppets will let your kids make their version of Three Little Pigs and stage a shadow play at home or in the classroom! The Three Little Pigs is one of my son’s favourite fairy-tales. There are these three mischievous pigs, and there is the Big Bad Wolf – what not to like when you’re three? My son likes to take the puppet of the wolf and chase the pigs around. 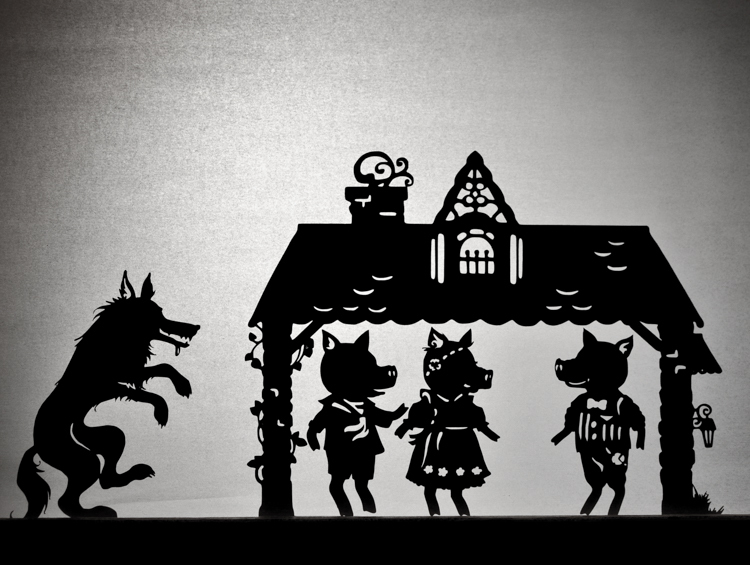 Then in the end of the story, the wolf joins the pigs in a happy dance. 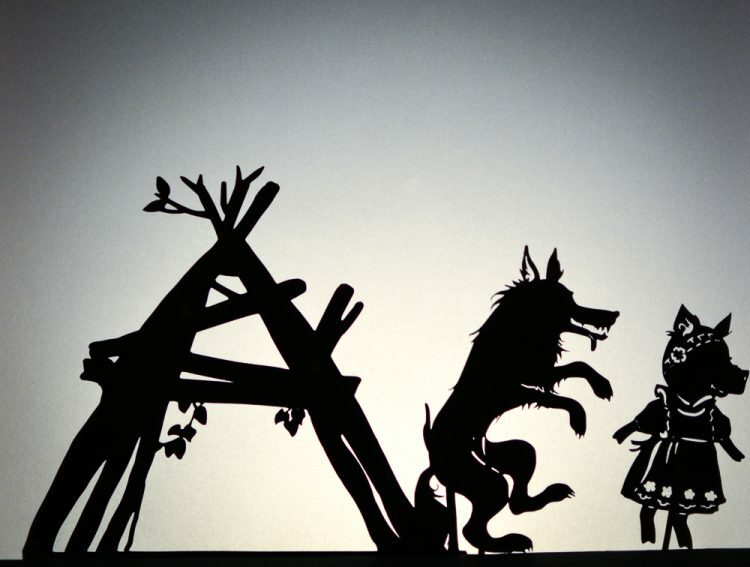 That’s our favourite thing about shadow puppets: we don’t have to stick to the original script. 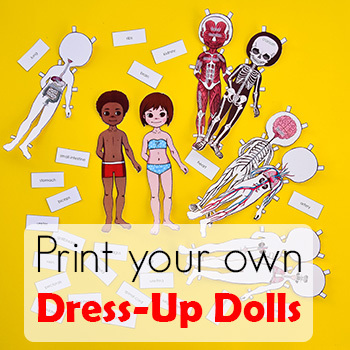 The puppets are great for encouraging imagination and storytelling skills! Get the patterns here or buy the puppets already cut here. It was fun to make one of the pigs a girl. 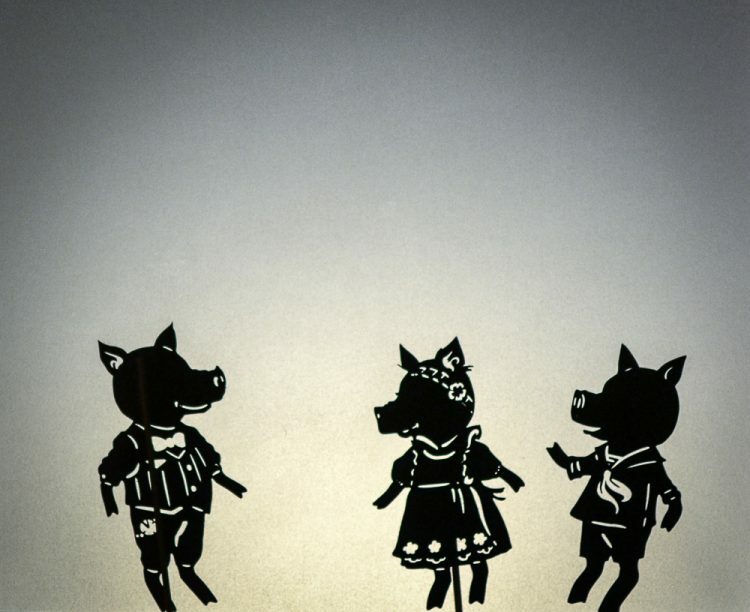 Three Little Pigs don’t really have to be all boys, right? 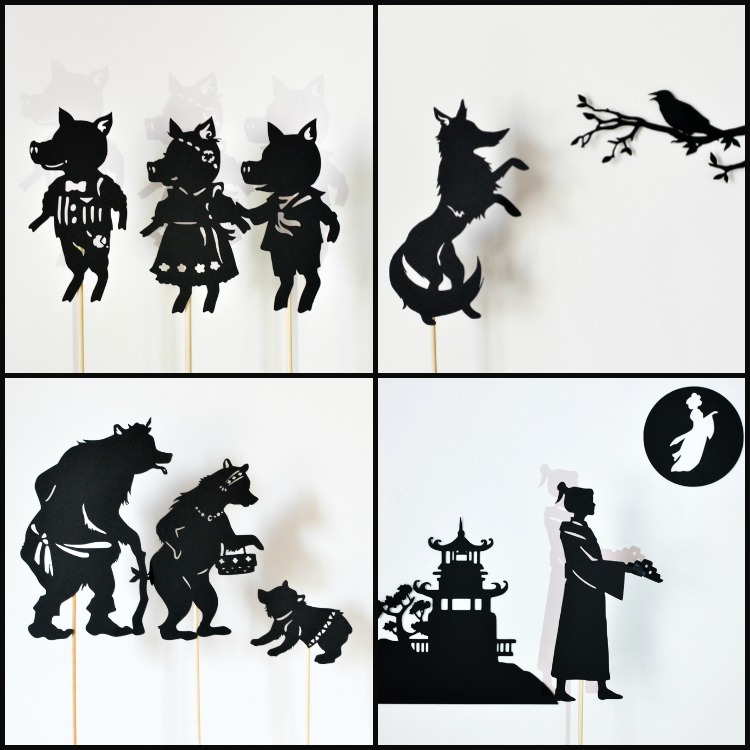 You can cut the shadow puppet patterns using traditional tools (scissors and a hobby knife) or using silhouette cutting machines (Silhouette or Cricut). 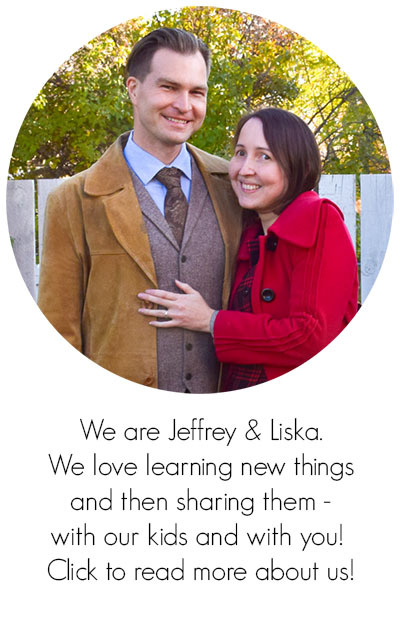 The first takes a little longer, but doesn’t require any special tools at all. The second is very easy and fast, but requires an investment in a specialized machine. 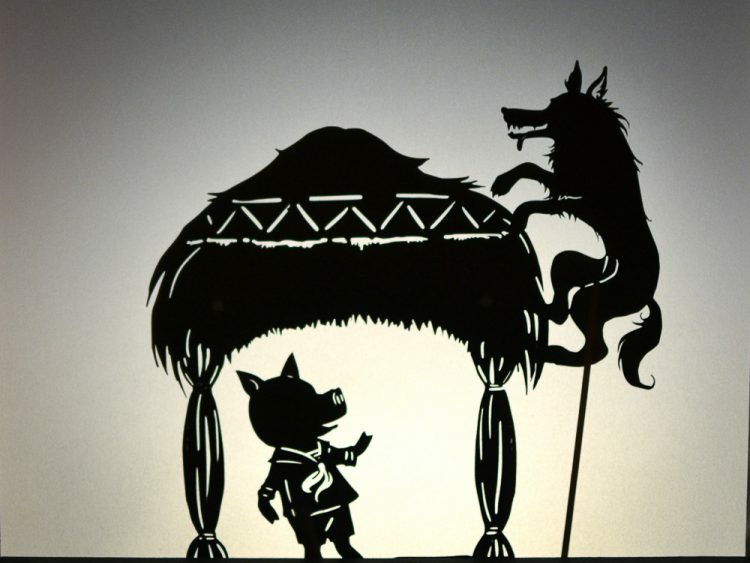 Our designs for shadow puppets are saved in PNG format, so that they can be used for either method. 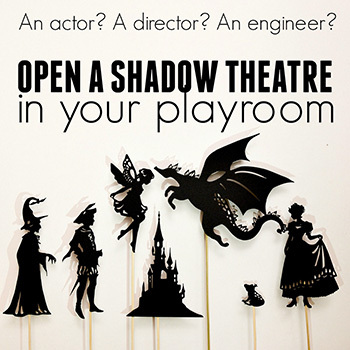 Please, read this post to compare the pros and cons of different options, as well as a detailed tutorial for cutting shadow puppets. 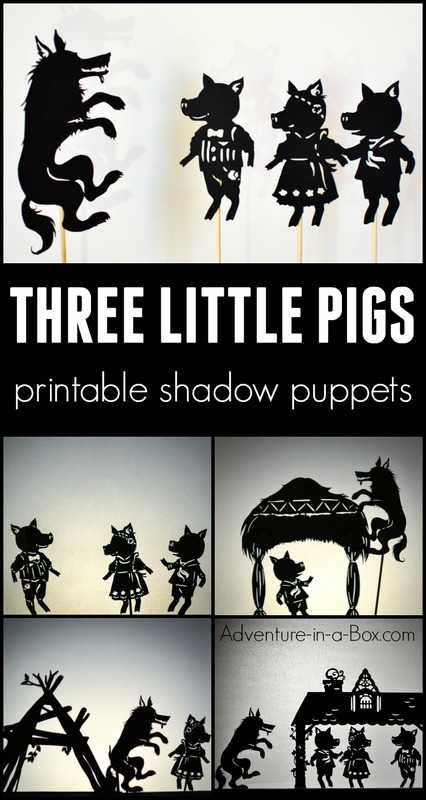 Here are a few of our favourite shadow puppets: Three Little Pigs, Fables, Goldilocks, and Moon Legend. If you want to cut your own puppets, check here. If you want to buy the puppets already cut, check our shop! 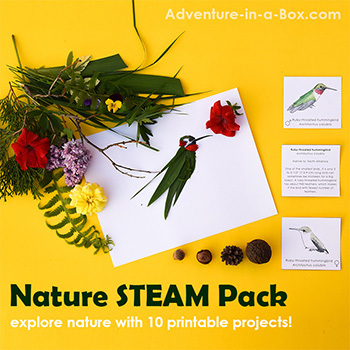 Thank you so much for the great material! We will have so much fun with this!